Reinvestment in Communities of Gaston County, Inc. works to help individuals and families improve their opportunities for safe, decent and affordable housing and to provide services that improve self-determination skills. Reinvestment in Communities of Gaston County, Inc. (RIC) serves the communities of Gaston, Lincoln, and Cleveland Counties as a nonprofit 501(c)3 Community Housing Development Organization. 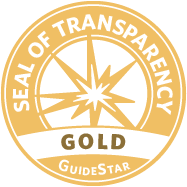 RIC is listed by GuideStar, and fully participates in all elements of transparency as a community organization. 1) RIC is a nonprofit, affordable housing developer. RIC serves the community through the acquisition of property for rehab and new construction, development of projects intending to increase housing options for low-to-moderate income individuals and families, and management of properties. RIC can serve a project as owner, sponsor, developer, or manager. Call 704-755-5676 to discuss opportunities to work with RIC and the development of housing in the community. 2) RIC administers Tenant Based Rental Assistance, “TBRA” for the City of Gastonia HOME partnership. These are Housing Choice Vouchers for rental assistance to qualifying individuals and families under 60% of AMI, and can be used throughout Gaston County only. Program referrals are made through community shelter programs only. 3) RIC administers a “Shelter Plus Care” program, “S+C”, in partnership with Partners Behavioral Health Management LME; This is a Housing Choice Voucher program with emphasis on housing homeless individuals and families. S+C vouchers can be used in Gaston, Lincoln, and Cleveland counties of North Carolina. 4) RIC administers a Targeted Housing Unit program called the “KEY Program”, at its Cherokee Apartment complex in Kings Mountain, NC. Housing referrals are made through approved Supportive Service provider agencies and NC Department of Health and Human Services. 6) RIC accepts HCV, “Section 8″ at its Boyce Street, Willow, and Highland East apartment units in Gastonia, NC. Housing Applications have two parts, first through the Gastonia Housing Authority, and second through the RIC Supportive Housing Program application. Currently there are no vacancies in these housing units.